Viking Books for Young Readers, 9780670062683, 40pp. As a boy, Alexander ?Sandy? Calder was always fiddling with odds and ends, making objects for friends. When he got older and became an artist, his fiddling led him to create wire sculptures. One day, Sandy made a lion. Next came a lion cage. Before he knew it, he had an entire circus and was traveling between Paris and New York performing a brand-new kind of art for amazed audiences. 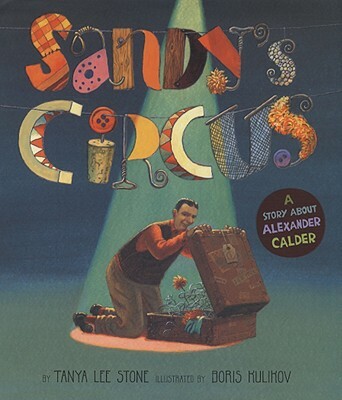 This is the story of Sandy?s Circus, as told by Tanya Lee Stone with Boris Kulikov?s spectacular and innovative illustrations. Calder?s original circus is on permanent display at the Whitney Museum in New York City.